Just US$ 429 Service Fee For Company Incorporation in Singapore. 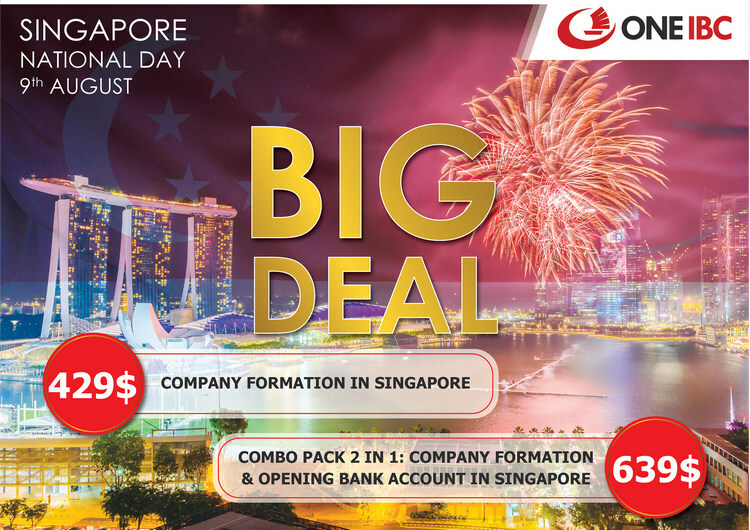 Combo pack 2 in 1: Just US$ 639 Service Fee For Company Set Up + Opening offshore Bank Account in Singapore. “The best time to plant a tree was 20 years ago. The second best time to set up company is now”. - The price above not include Government fees. - Cannot be combined with other special offer, promotion or discounts. Let’s choose incentives you want to use for expanding your business toward the world. Expired date: 18th August 2018. Asia Pacific - Singapore - One IBC Pte. Ltd.